contact to thoroughly replenish it with moisture and nourishment. Cosmeceuticals for brightening and wrinkle improvement. CELLTRION’s first proprietary dual-functional ingredient. 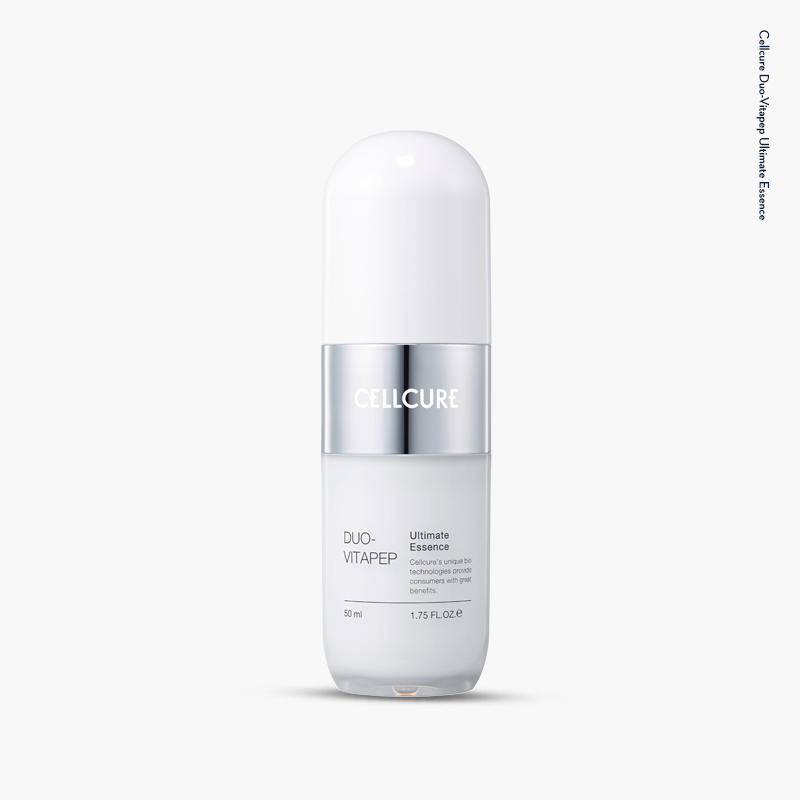 Contains Duo-VitapepTM, the patented dual-functional ingredient with CELLTRION’s first single peptide that applies our unmatched conjugation technology for fine line improvement and brightening, to effectively deliver active substances to the skin and hence to help improve skin’s resilience and complexion. Plant energy from a special extraction technology. This is a refreshing essence that effectively delivers the purely powerful energy and active substances with the special extraction method. The new tension gel capsules with concentrated nourishment instantly absorb into dermis upon contact with the skin, moisturizing and nourishing for more resilient skin. Firm gel texture in pale beige. Duo-Vitapep ingredient for brightening and wrinkle improvement. Plant cell water Moisturization & nourishment. Dispense an appropriate amount to smooth over skin for penetration. 1. Consult a specialist in case of red dots, swelling, itchiness, or other abnormalities or adverse effects while using or when exposed to direct sunlight after application. 2. Avoid using on areas with wounds. 1) Store away from the reach of children.